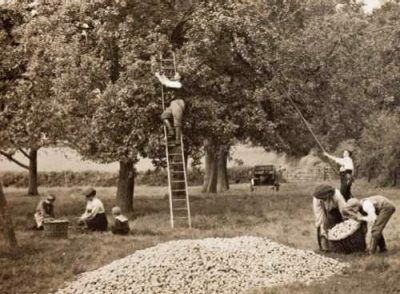 When we started the project, we wanted to know what historic archive and archaeological information was available about our orchards. We commissioned a series of historical gazetteers for the areas in the three counties that we thought we were most likely to be working in. 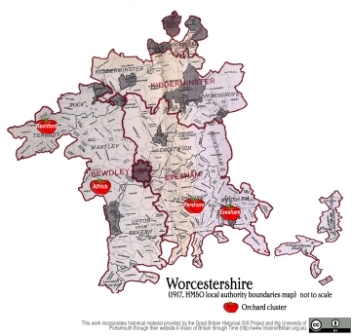 If you are interested in doing your own research into the Three Counties Traditional Orchards, there are a number of places we’d recommend you visit. 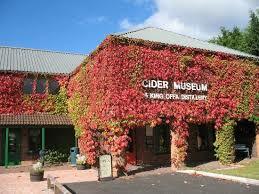 The Museum of Cider holds the business archives relating Bulmers Cider Company and the smaller businesses they bought. 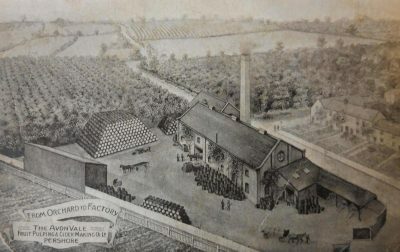 The museum collection also includes many objects, images and publications relating to the history of orchards, apple-growing and cider-production. County Record Offices hold many of the archive documents and books listed in these gazetteers. They also have collections of historic newspapers, trade directories, tithe records, local studies publications and many original documents on microfilm. When beginning your research, always ring ahead to let the staff know you are coming! In Gloucestershire, we looked at historic archive and archaeological information relating to parishes in Dymock and the Stroud area. 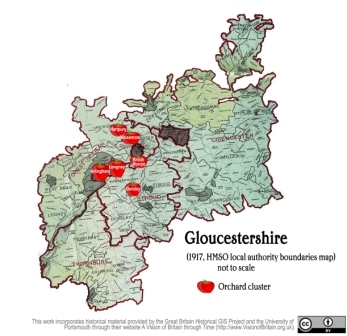 You can find archives and research materials relating to Gloucestershire’s orchard history at Gloucestershire Archives. The county HER is managed by Gloucestershire County Council Archaeology Service. 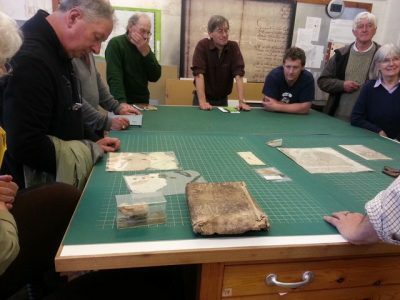 In Herefordshire, we looked at historic archive and archaeological material relating to parishes west of Hereford City, and around Garway and Whitbourne. 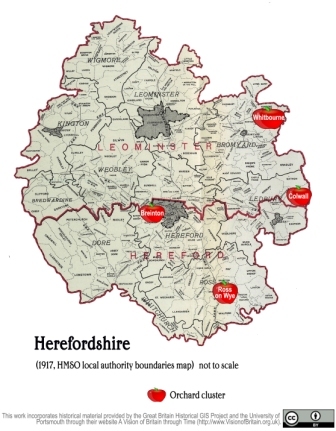 You can see archive material relating to Herefordshire’s orchard history at HARC – Herefordshire Archives & Records Centre – in Rotherwas. HARC also holds the Historic Environment Record. 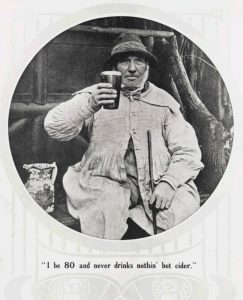 You can browse Herefordshire History Online to see digitised copies of many of the county’s photo collections. In Worcestershire, we looked at historic archive and archaeological information relating to parishes around Tenbury Wells and the Vale of Evesham. 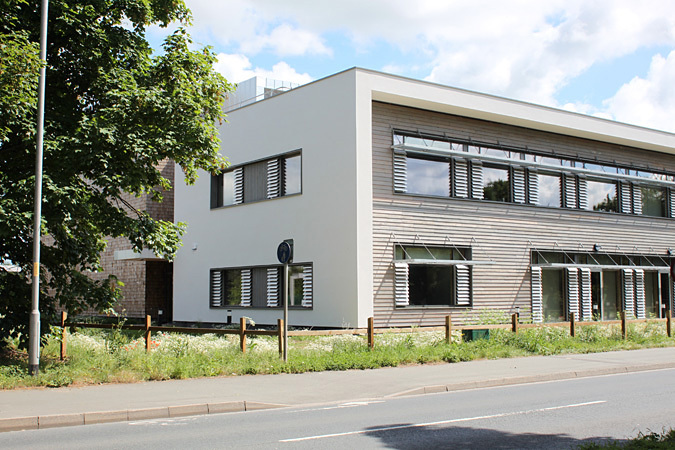 You’ll need to visit The Hive in Worcester to see the archives, local studies collections and Historic Environment Record for Worcestershire and Worcester City. You can’t miss it! It’s the giant golden building beside the River Severn!